dubaiairportguide.com adheres to the highest of Internet standards, protecting its users’ privacy, observing and championing Net etiquette, linking externally without endorsements, and aiming for factual information throughout. To that end, here’s a look at what we expect from users of our site. The dubaiairportguide.com name and logo are the exclusive property of dubaiairportguide.com. They are protected under international law. Unauthorised use is prohibited. They may not be copied or reproduced in any way without the prior written permission of dubaiairportguide.com. Requests for permission should be sent to us using the contact us link at the bottom of this page. The dubaiairportguide.com Web Site is provided by dubaiairportguide.com for personal use only. Any other use, including reproduction or translation of anything more than a de minimis portion of the Content of the dubaiairportguide.com Web Site, or any use other than for personal purposes, requires the express prior written permission of dubaiairportguide.com. Requests for permission should be sent to us using the contact us link at the bottom of this page, specifying full details of the proposed use. The mention of names of specific companies or products (whether or not indicated as registered) does not imply any intention to infringe proprietary rights, nor should it be construed as an endorsement or recommendation on the part of dubaiairportguide.com. dubaiairportguide.com disclaim any liability or responsibility arising from the use of the dubaiairportguide.com Web Site or the Content of the dubaiairportguide.com Web Site. dubaiairportguide.com, members of its staff, and it’s contractors, shall not be liable for any financial or other consequences whatsoever arising from the use of the Content of the dubaiairportguide.com Web Site, including the inappropriate, improper, or fraudulent use of such Content. No representations or warranties of any kind concerning the dubaiairportguide.com Web Site are given, including responsibility for any infection by virus or any other contamination or by anything which has destructive properties. The dubaiairportguide.com Web Site may be linked to other web sites that are not under dubaiairportguide.com’s control. dubaiairportguide.com provides these links merely as a convenience and the inclusion of such links does not imply an endorsement or approval by dubaiairportguide.com of any web site, product or service. 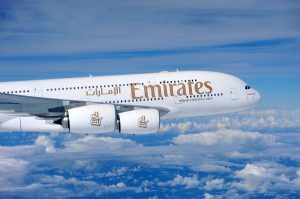 dubaiairportguide.com does not assume any responsibility or liability in respect of such web sites, including, for example, responsibility or liability for the accuracy or reliability of any information, data, opinions, advice or statements made on those web sites.